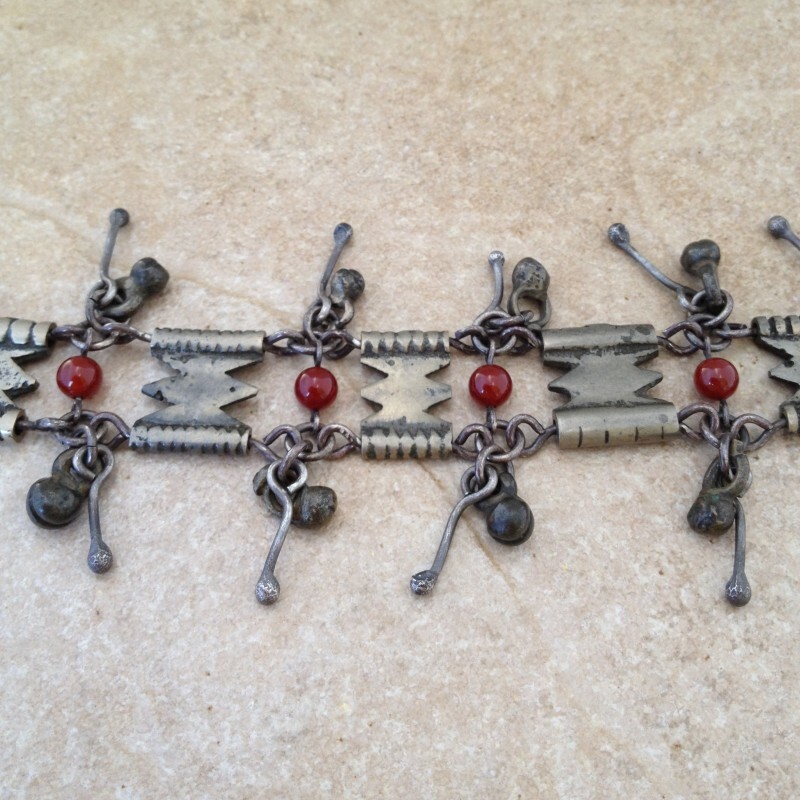 Old brass pieces from Ethiopia are linked with oxidized sterling silver wire and separated with carnelian beads. 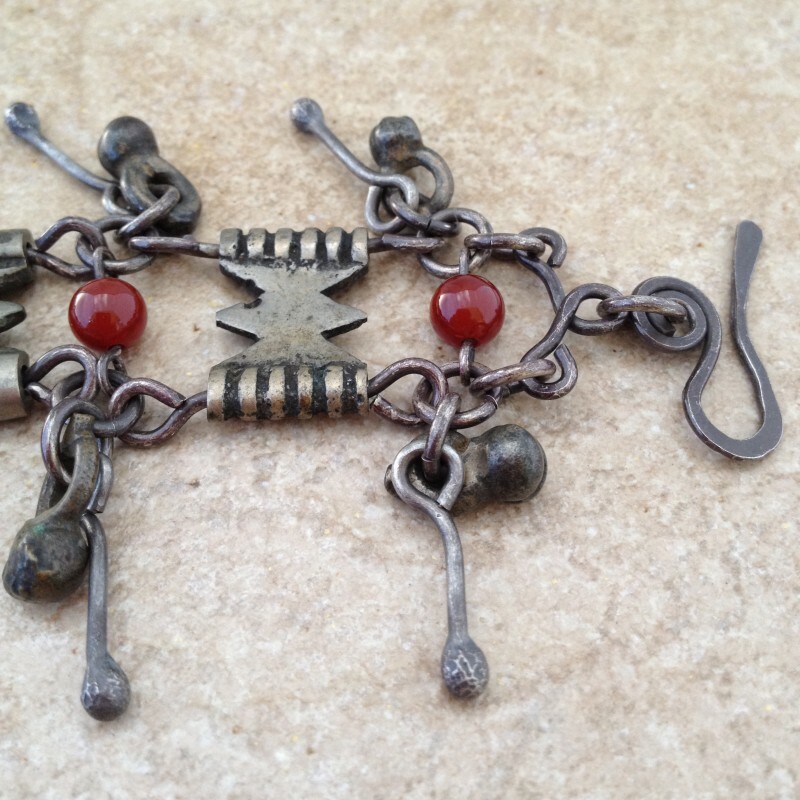 Old charms and oxidized sterling silver hand forged drops are flanking both sides. 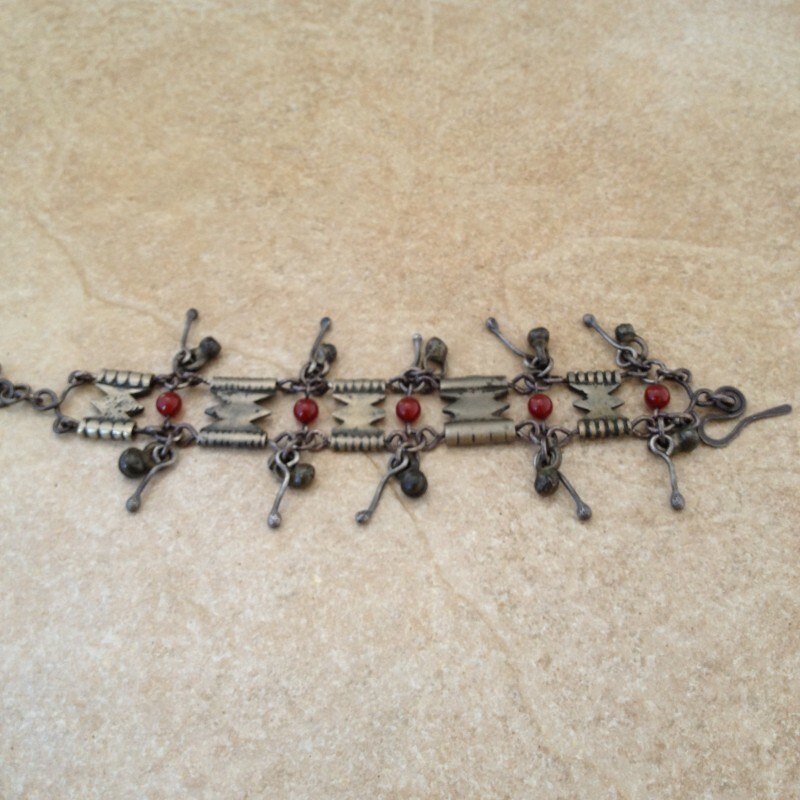 The brass links and the charms will vary. 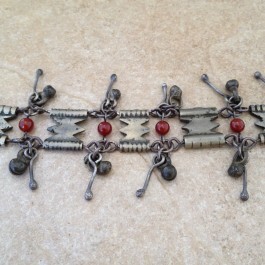 Handcrafted clasp. 7"-8" long, 3/4" wide.